Contact Jeff Brown (Jeff.Brown@Brunswickcountync.gov) for more information. 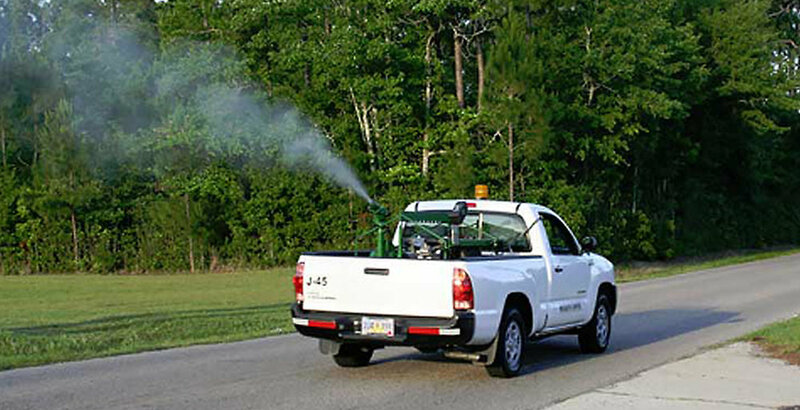 Anyone who operates a ULV machine or applies larvicides should have a NC Pesticide Applicator License in Category B (public health). Classes and certification are offered through NC Dept. of Ag. Please contact the Pesticide Section at 919-733-3556 for more information. Every year the vendors offer training workshops across the state. In addition to obtaining continuing education credits for Category B, Public Health Pesticide Applicator’s License, these workshops are an excellent way to meet and network with other mosquito control professionals in the area.